This weekend I started a baby quilt for my cousin's soon-to-be-born baby. And then got really frustrated with it and hid it in a box. I rarely do this, but I just couldn't decide what I wanted to do and I didn't want to think about it anymore. Here are my blocks so far. They are so tiny! In my do Good Stitches circle, Alyssa asked us to make the Bijoux block that she had designed. 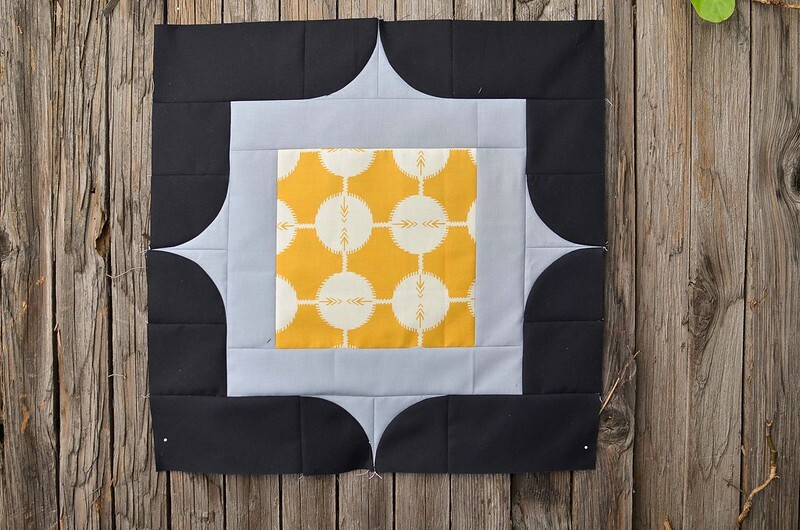 She asked for the background fabric to be black and then to use a light to medium gray fabric for the inner color and a mustard fabric for the square. I had a hard time finding a mustard piece that big in my stash because I go through mustard fabric like crazy. I wish I could go back in time and buy an entire bolt of this. Thanks so much for all the advice everyone offered about teacher gifts. 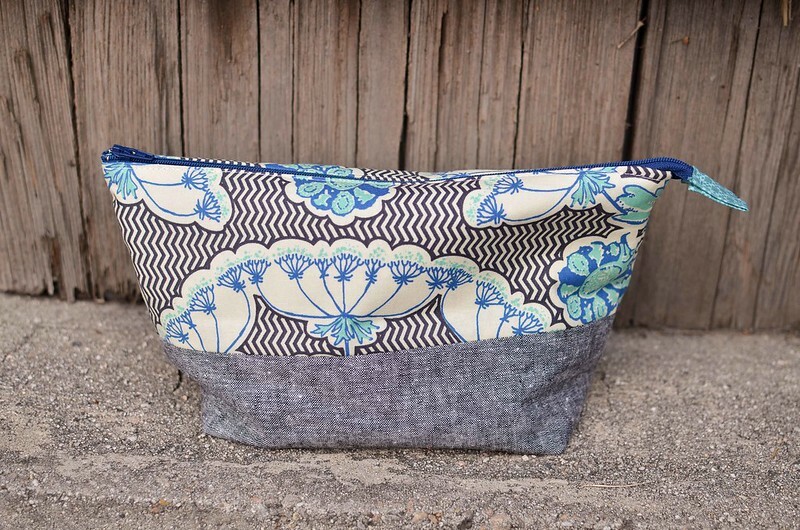 Several people mentioned zipper pouches and I agree so I made a couple of Open Wide Zippered Pouches. One of the other mothers had already collected some money from everyone to give to the teachers, but I wanted to do something small and more personal to go along with that. I put a small notebook, thank you note, and photo of my daughter with her teachers at their preschool culmination inside each bag. My daughter will take them with her on her last day of school so hopefully they like them. After seeing Svetlana's quilt recently I bought my own copy of Sunday Morning Quilts and now I want to make all of them. I seriously need use up some scraps so I'm going to be spending the next few days sorting scraps and cutting out 2.5" squares. Oh I love that first one! Though I can understand it working better for larger blocks. Ooh those triangles do look teeny tiny! A nice finished block though, and it goes so well with the others. The bee block is amazing! 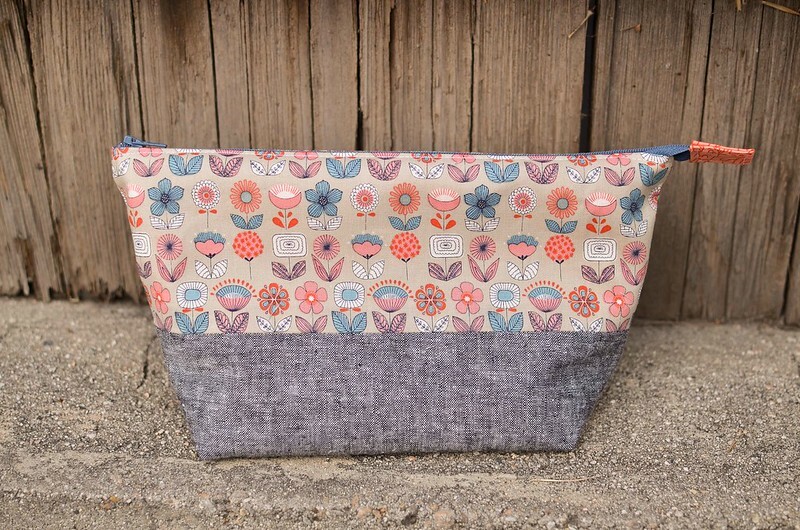 I like everything you've shown but in particular I love your fabric combinations for your BOM blocks. I think your blocks look fantastic. And I really love your fabric of the upper open wide pouch, lovely! The zippered bags are fabulous! I like the gray on the bottom. 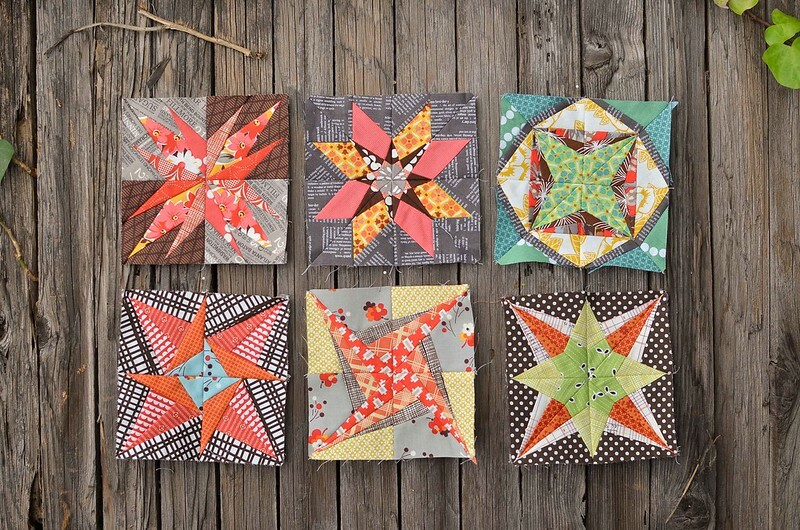 Love your Lucky Stars BOM's, your fabric choices are fantastic! wish i had your eye for fabric pairing! 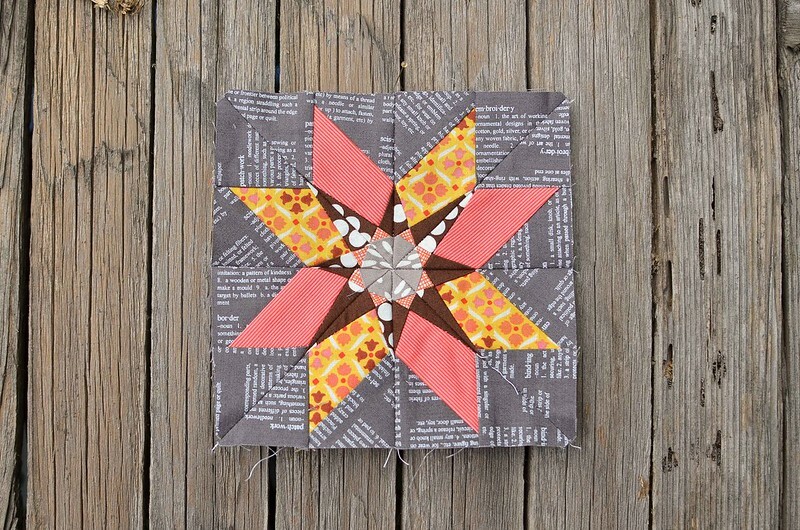 Your Lucky Stars blocks are seriously amazing! I need to catch up again. Holy crap! Those blocks are amazing! I love mustard too! Kona Curry is a very beautiful mustard color. Your bee blocks are looking great. The bee blocks are absolutely stunning! Wow those tiny blocks are just stunning. Love them. Glad to hear I wasn't the only one that had issues with the June Lucky Star, but yours at least looks usable. Probably won't be using mine and not sure I want to try again! Darling pouches and that IS a really cool bee block!